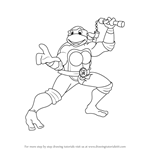 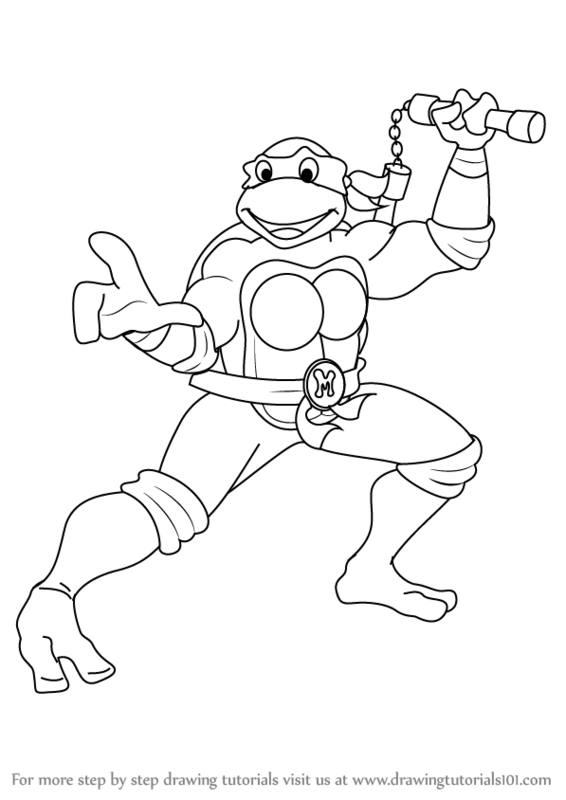 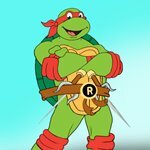 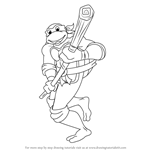 Michelangelo is one of the top leaders from Teenage Mutant Ninja Turtles and he is know for his comic relief, happy-go-lucky attitude - he has a distinguishing orange band on his head. 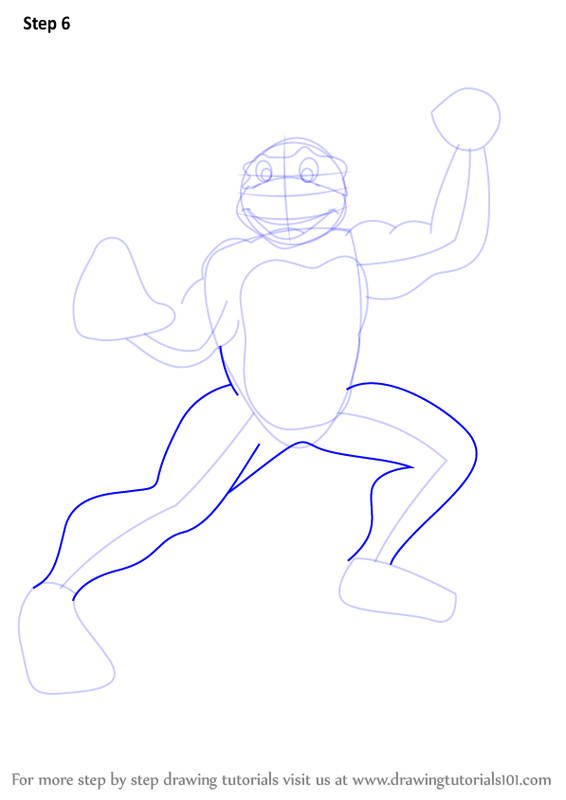 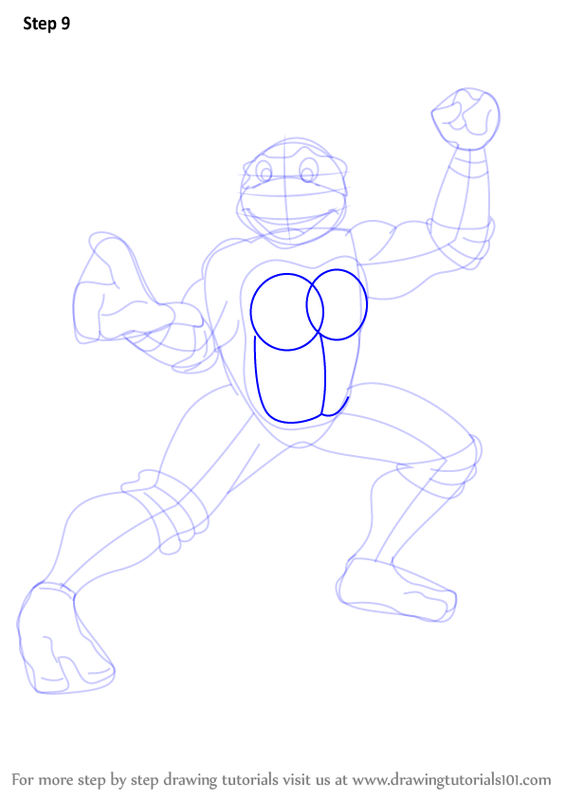 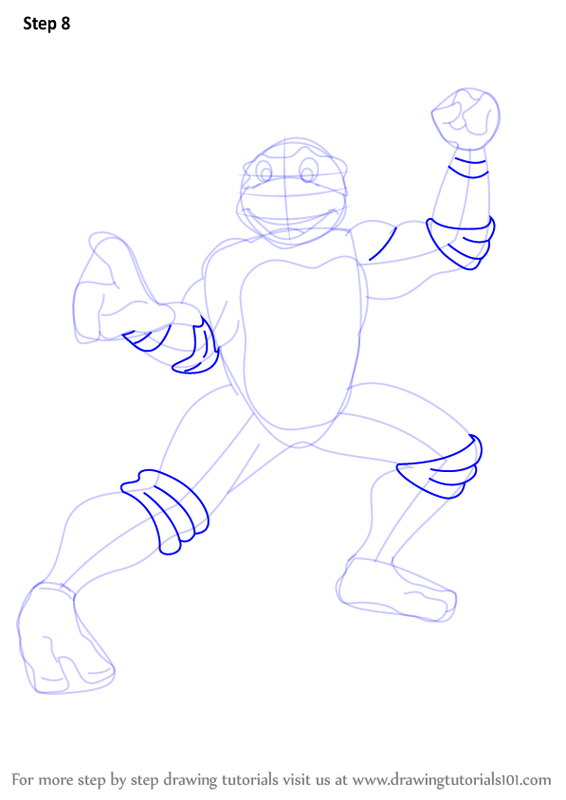 Draw the base for the body, a small circle for the face and legs too. 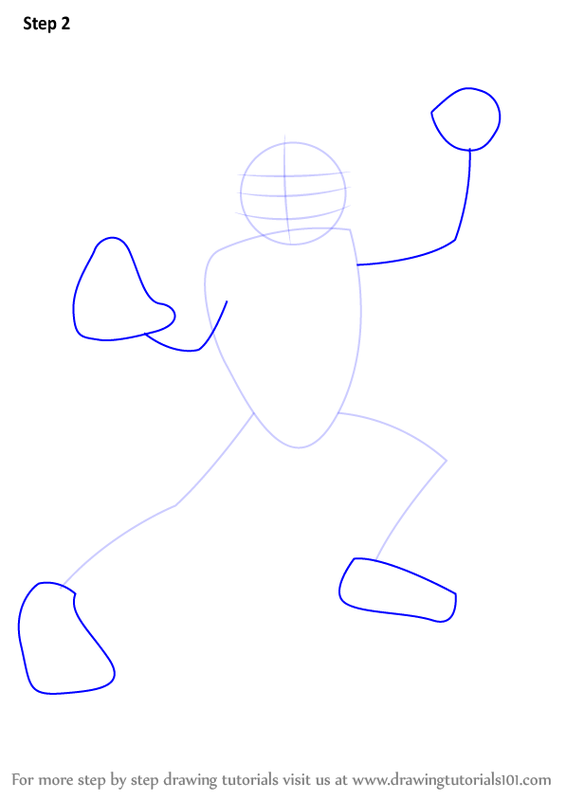 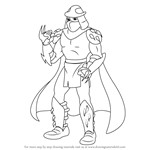 Draw the outline for the feet and hands. 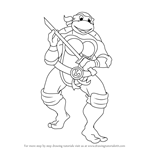 Draw the eyes as shown. 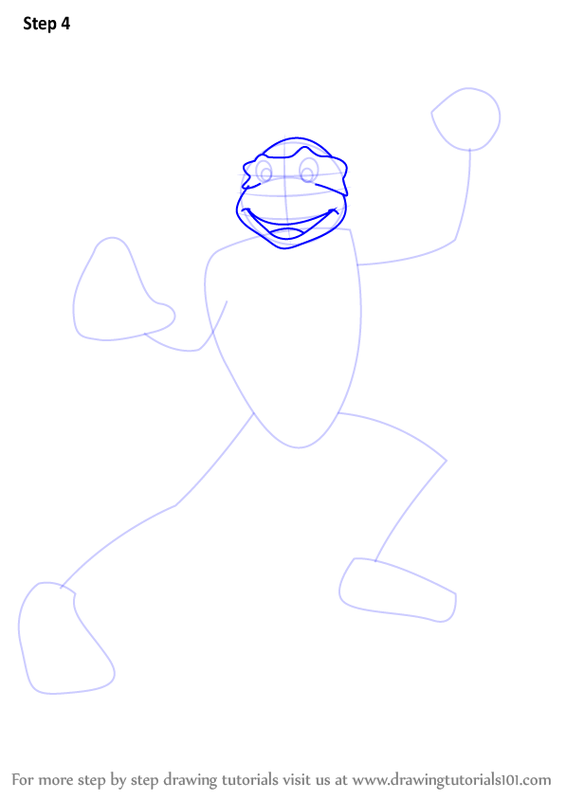 Draw the outline for the face as shown. 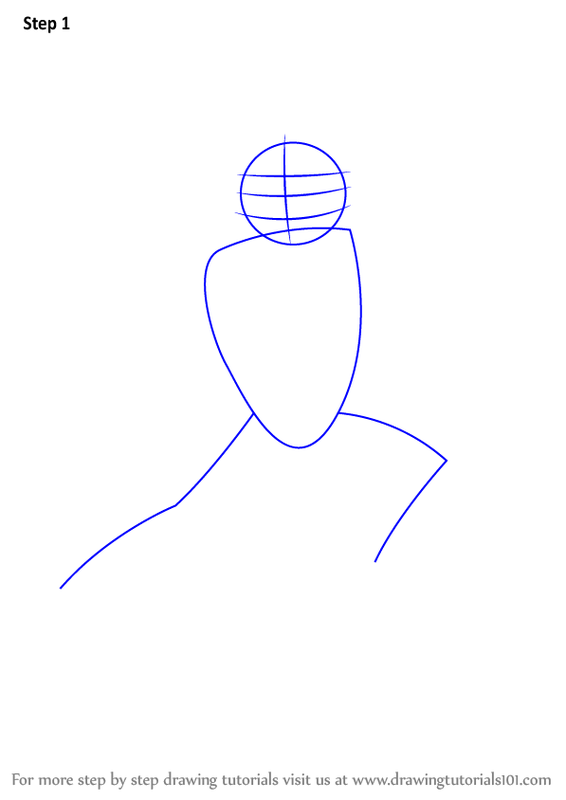 Draw and enhance the base for the body as shown. 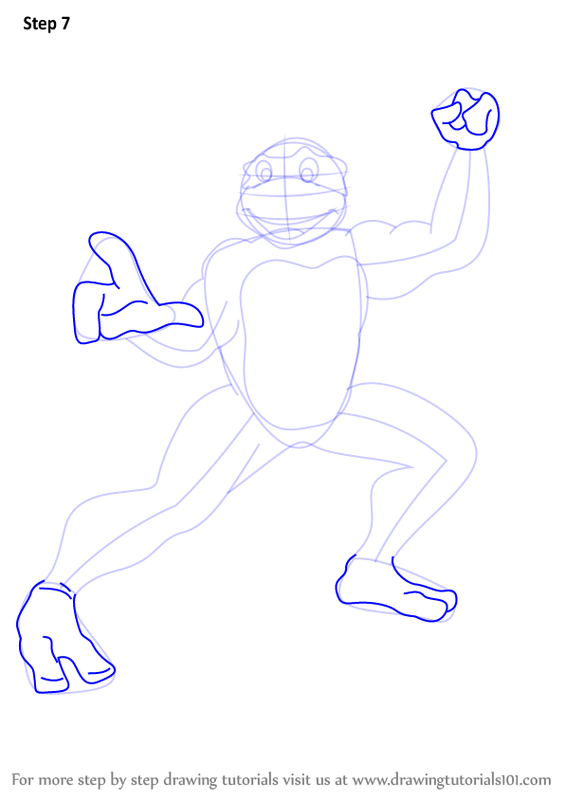 Draw the feet and hands in depth. 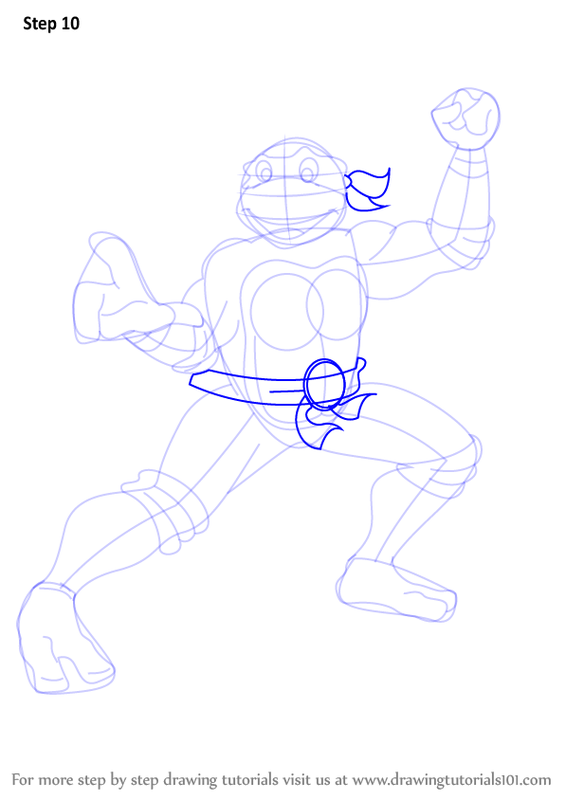 Draw the other necessary accessories as shown. 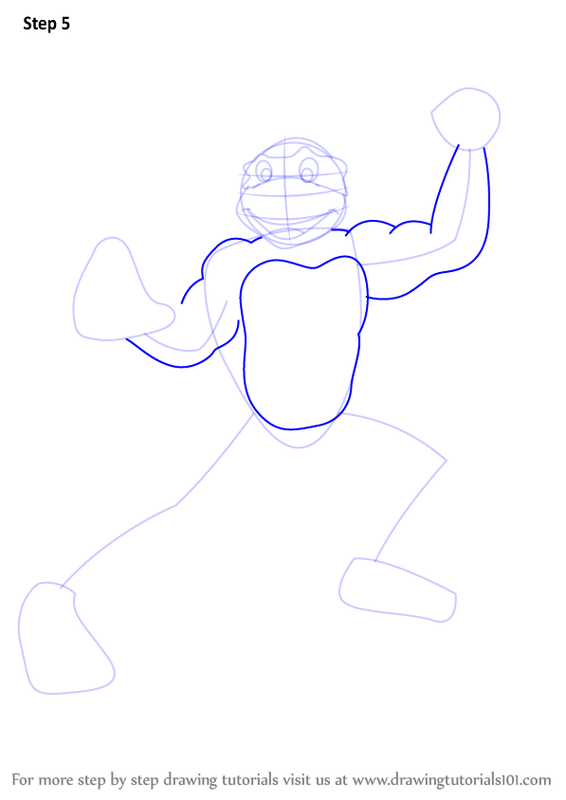 Draw the upper body detailing. 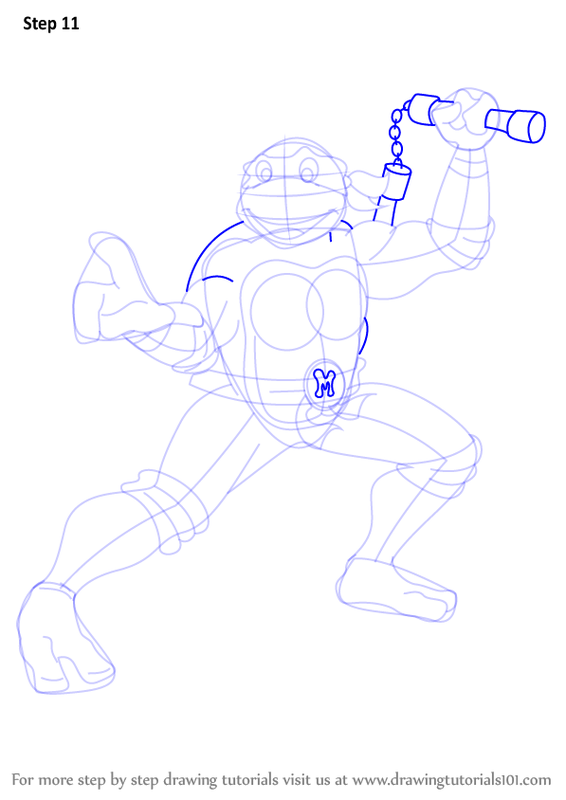 Draw the other accessories and other detailing. Draw his weapons and other small details.